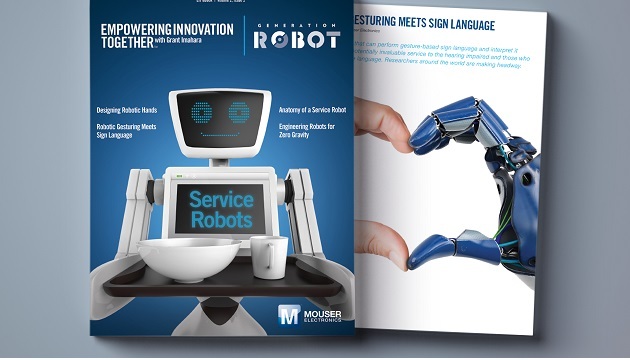 Mouser Electronics, Inc. announces the release of a new e-book titled Service Robots, the most recent offering in the Generation Robot series, part of Mouser’s Empowering Innovation Together program. Featuring a foreword by celebrity engineer and Mouser spokesperson Grant Imahara, Service Robots provides examples of how service robots differ from collaborative robots, presenting familiar robot forms we already see around us, as well as emerging trends in service robotics. Topics in the e-book include anatomy of a service robot, a companion robot for the International Space Station, and the challenges of creating an appendage with the dexterity of the human hand. “In this new e-book, Mouser’s engineering experts give readers a sense of what to expect from service robots, with articles that appeal to engineers and non-engineers alike,” said Kevin Hess, Senior Vice President, Marketing at Mouser Electronics. “Previously in the Generation Robot series, Mouser and Grant investigated the rise of collaborative robots, robots that work side by side with humans. In this e-book, we see what happens when those robots are more autonomous”, he added. The Generation Robot series, hosted by Imahara, features five videos filmed in locations around the world, highlighting the people, companies and machines that are changing how we view and interact with robots. 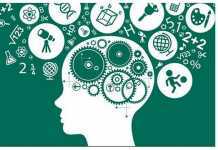 The series showcases everything from robotic theory to real-world robotic use cases that seem like science fiction but are, in reality, a glimpse at how we will navigate in an equally human and robot world. The Generation Robot series is supported by Mouser’s valued suppliers Analog Devices, Intel, Microchip Technology and Molex.